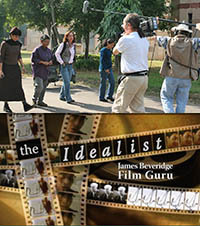 Nina Beveridge assisted with the upgrade of the website in support of the premieres for two documentaries. Both are international co-productions with Films à Cinq. The first of these is SongbirdSOS, a one hour TV documentary for CBC – The Nature of Things. The hour is a wide-ranging zoological whodunit that takes the viewer through a stunning variety of human-made perils that have afflicted songbird species from Swallows, to Warblers to Grosbeaks to Thrushes. Narrated by David Suzuki and directed by Su Rynard, SongbirdSOS is an artfully-shot story about the the mass depletion of songbirds in the Americas. It depicts an alarming thinning of populations that has seen declines of many species since the 1960s. According to international birding expert Dr. Bridget Stutchbury, who is featured in the program, we may have lost almost half the songbirds that filled the skies fifty years ago. Premiere Broadcast on CBC is: Thursday March 19, 8 pm. The Messenger is a feature length documentary released in Spring 2015. The Messenger is a visually thrilling ode to the beauty and importance of the imperiled songbird, and what it means to all of us on both a global and human level if we lose them. Project Manager / Web & Campaign Designer: Nina Beveridge. Activities included designing new web pages, branding support, indiegogo crowd funding management and support, campaign outreach management and support.